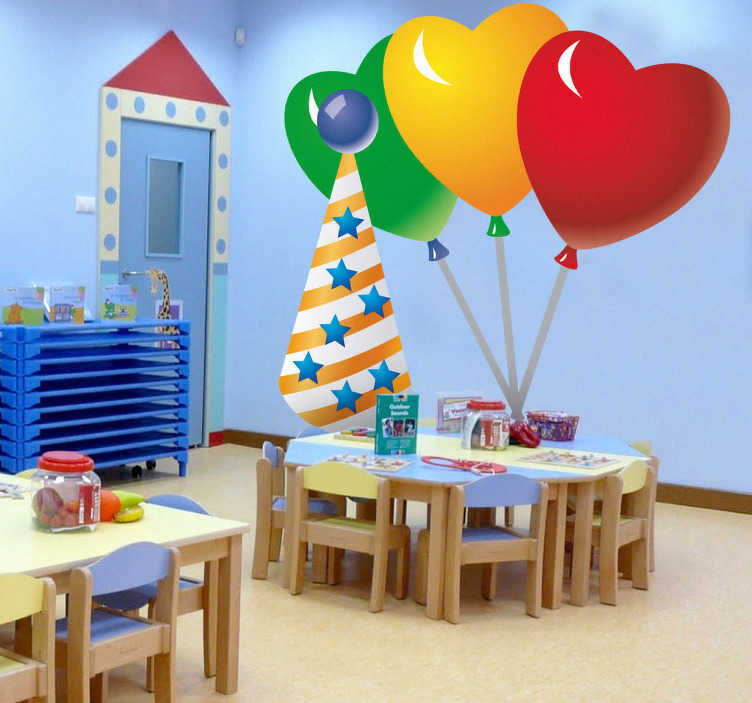 Kids Wall Stickers - Colourful and vibrant party feature to decorate the room. Three heart shaped balloons accompanied by a party hat. Ideal for kids birthday parties. Easy to apply and remove.